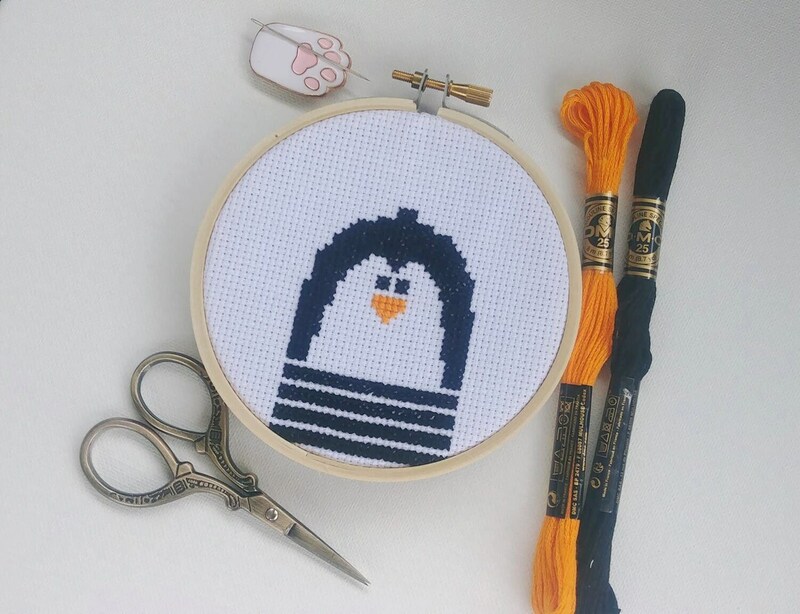 Black and White Penguin easy cross stitch patter. Simple and sweet. This design is a small version of my large striped penguin. Finished size of pattern: 2.0 x 2.7 inches.